Hector ?El Father? is one of the main exponents in the reggeaton genre, he could be considered the P Diddy or Dr. Dre of reggaeton. Despite his young age, Hector has had an extensive music career. During the mid 90's Hector came to fame as part of the duet Hector and Tito. Both became the first reggeaton artists to sell out a massive concert in Puerto Rico, opening the path to other artists such as Tego Calderon, Daddy Yankee, Don Omar, and Wisyn y Yandel. During the mid 90's Hector came to fame as part of the duet Hector and Tito. Both became the first reggeaton artists to sell out a massive concert in Puerto Rico, opening the path to other artists such as Tego Calderon, Daddy Yankee, Don Omar, and Wisyn y Yandel. As a duet both captured the world's attention and made reggeaton a popular genre, won important awards such as the Latin Billboard Award and reached the top of the charts in several countries. After 12 years of continuous success, Hector and Tito decided to go separate ways. Hector, who is also Don Omar's mentor and producer, has produced a variety of artists. 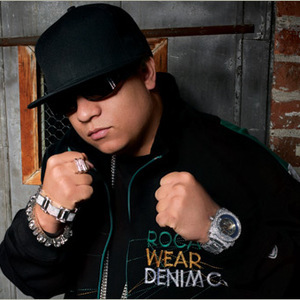 In 2004 he founded his own record label GoldStar Music, and positioned his group TREBOL CLAN among audience's favorites with over 100 thousand copies sold of Los Bacatranes, their first album under his label. In 2005 he started his solo career debuting in Pasto, Colombia, in front of 60 thousand people. Several of his songs became big hits across Latin America and the U.S: ?Noche de Travesuras?, ?Los Rompe Discotecas? ?Vamos pa la calle?, ?Noche de Terror? and ?Mirandonos? are some of them. His compilation album titled LOS ANORMALES, released under his own label, broke all record sales in Puerto Rico when 130,000 copies were sold in just two days. This album features the most important reggaeton artists such as Daddy Yankee, Don Omar, Trebol Clan, Divino, Zion and the duet Alexis y Fido. The album has gone to sell over 200,000 units. In February, Hector El Bambino performed in the Canary Islands during their big Carnival festivities. His performance was a sold out success. His song ?Morena?, which Hector produced for Hector y Tito, is one of the most air played songs in this Spanish territory. Hector has soon positioned himself as a solo artist. He has toured around the U.S. cities with great Hispanic concentrations such as New York, Miami, Orlando, Boston, San Diego, San Francisco, Las Vegas, Houston and Los Angeles. Hector has proven his talent for business as well, besides his record label he also owns a popular dance club in his native island of Puerto Rico. In the middle of 2005 ?El Father?, as he is also now known, signed a very important agreement with hip hop super star JAY Z. The contract will launch Hector's career in the anglo market. Both performers will produce a compilation album under the Island Des Jam label, propriety of JAY Z, due this year. The album titled ?Rompe Discotecas? will feature top of the line artists both from Anglo hip hop and Spanish reggaeton. Additionally, Hector became the Hispanic image for his clothing line Roc-A Wear. The advertising campaign including his image will be featured in TV spots, print, and billboards. The agreement also states that Roc-A Wear will sponsor Hector's own clothing designs under the label Bambino. At the same time Hector's designed tennis shoes will form part of the JAY Z's ?S. Carter Collection? by Reebok. In September 16, 2005, he presented two sold-out concerts titled The Bad Boy in Puerto Rico with artists like Wisin & Yandel, Alexis y Fido, Trebol Clan, Fat Joe, Polaco and others. On September 3, 2008, Delgado announced his retirement from the music industry, calling it the ?death of Hector El Father.? In a press conference held in Puerto Rico, the rapper announced that he intended to pursue a religious career. The release of his upcoming album ?El Juicio Final' marks the end of his career in the reggaeton world. Delgado said he had made the decision six months prior to the announcement but is fulfilling his music contract which obligated him to release one more album for the label that, he says, will be his last.